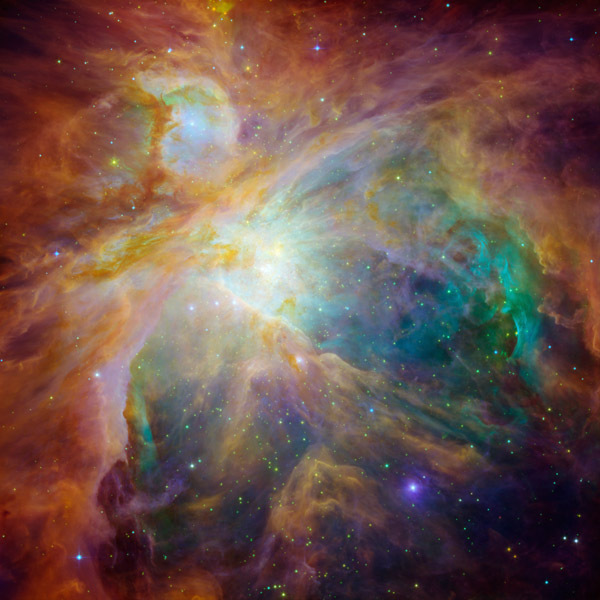 Orion nebula in an explosion of infrared, ultraviolet and visible-light colors. It was "painted" by hundreds of baby stars on a canvas of gas and dust, with intense ultraviolet light and strong stellar winds as brushes. At the heart of the artwork is a set of four monstrously massive stars, collectively called the Trapezium. These behemoths are approximately 100,000 times brighter than our sun.